Every couple of months, I get my writing fever. I constantly think about writing-whether it be fiction novels, or blogging, but every so often I tell myself I will blog more, but when I find the time, I’m too tired to focus on anything and prefer to stare blankly at reality TV. I’m still in the “finding” stage of blogging. Because I love writing, and it comes easily to me, I find I can write about anything (hence the variety of topics on my blog currently). I’m thinking I need to focus on a single topic. Well I’m starting with my OUR CULTURE/OUR WORLD genre of writings. There is always something brewing within our communities, there is always conversation about these issues, but sometimes the right things aren’t being discussed. Facts are presented, questions are asked, but dialogue is missing, thought provocation is absent. We’ll see how this goes. I’m going to try a month of each category, see which I like best and move on to the next stage of my blogging- “tailoring”. Since the times of Madame CJ Walker (maybe even earlier than that), Black women have had a strong interest in their mane. Her development of hair care products for black women was revolutionary. Now it may be that this affection we have for our hair comes from a desire to be accepted by or assimilated with the cultures and appearances of our European masters. Wanting our hair to be “fried, dyed and laid to the side” to be deemed beautiful and presentable, worthy to be looked upon, comes from slave mentality. Our culturally spirited broken ancestors instilled in us the maintenance of our hair, passing down the beliefs and practices of “good hair”. There are several blogs, song and movies about our hair, excepting our hair, loving ourselves as God made us, and so on. This is not one of those posts. This blog was inspired by the recent uproar and petition about Jay-Z and Beyonce’s baby Blu-Ivy. People are complaining about the toddler’s hair looking wild and almost dreaded at the ends. Comments were made about a mother spending as much time and money on her hair as Beyonce, shouldn’t have a child running around with an unmanaged mane. Yes, I think the petition is ridiculous, and that there are a lot more pressing matters than a two year old’s hairstyle. I can recall several pictures of myself and others running around with fly-away strands as a child. Several of us look back at our childhood pictures with the sponge roller bang and question our parents’ sense of style and taste in hair design. However black people, women especially take pride in our hair. It is who we are. Our hair is a part of our culture. Braids, beads, locks, curls, waves, afro, twists, blowouts etc. This is who we are. We are a people who take much pride in our appearance and as a part of that, our hair. The great thing about our hair is the variety of styles we can rock. Understanding India Arie’s lyrics to “I am not my hair”, we aren’t defined by our type of hair or style in which we wear it, but our hair is as much a part of our culture as music and dance. What J & B choose to do with their child’s hair is their business. If it makes them happy, who are we to nationally request for action to be taken? Hair health is of more importance than the style, but we are a stylish people by nature. It’s in our genes. Not quite the creative title, but it works! Fashion, News, Beauty, Love, Relationships, Politics, Cultural or Economical awareness. Regardless of the reasoning behind your posting, it feels good to know you can tell the world what you are thinking, and what’s better is when someone is reading. 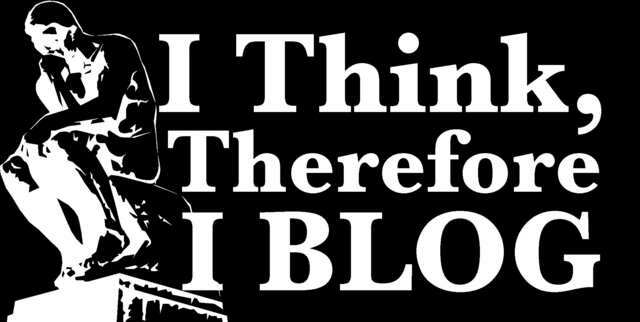 Blogging is the best form of expression for US. Often times in conversations with friends and family about something you have a passion for that others don’t, it may feel as if no one is listening or even care about what you have to say. Blogging gives you a platform to discuss issues of interest to you. Readers who have interest in similar topics can indulge in your facts or opinions. Readers who have no interest in the topic, or your opinion can scroll on. The beautiful part of it all is there are no interruptions! Writing what matters to you, uninterrupted, and monitoring the commentary (positive or negative, its all about what you want), it gets no better than that. It sounds a bit selfish, or even childish, but in a world where we do a lot of conforming for others, we can be selfish in our world. It semi-reminds me of keeping a diary, only instead of elementary “drama” there are more mature reading selections (sometimes, it depends on our mood). What’s funny is, as intrigued as people were in our younger days with prying into our diaries, they are just as intrigued in reading our posts. Interest in the thoughts of others is human nature, the creativity writers use to present these thoughts set us apart! The next time you are in a setting where people have notepads, notice if you or someone near you sneaks a peek at what is being jotted or doodled! Continue blogging, someone is reading!! !